Facebook and the other companies in the Facebook family also may use information from us to improve your experiences within their services such as making product suggestions (for example, of friends or connections, or of interesting content) and showing relevant offers and ads. With this updated, many people are angry that most of their personal information could potentially be compromised as part of the deal with Facebook. 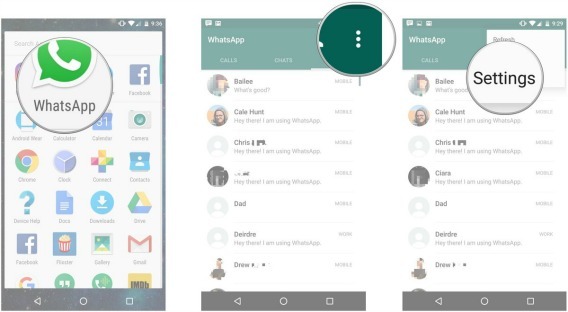 Launch WhatsApp from home screen on smartphone (Android & iOS). Tap the action overflow button in the top right corner on Android and then select Settings. For iOS, tap the Settings tab in the lower right corner. Scroll to the down and untick the checkbox next to Share my account info. The message will pop-up, “If you tap ‘Don’t Share’, you won’t be able to change this in the future.” Tap ‘Don’t Share’. To confirm you’ve disable the feature, check to see that Share my account info is greyed out. That’s it! 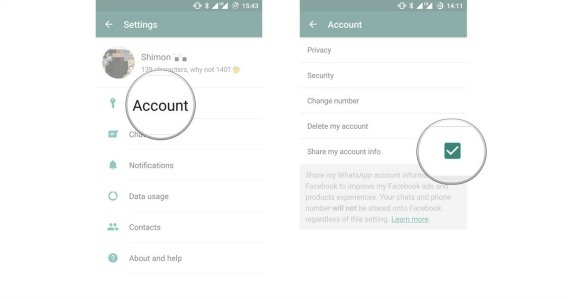 Now you’ve successfully opted out of WhatsApp sharing your personal information with Facebook for advertisement purposes, and the option will no longer be visible from the Settings Account after disable it. 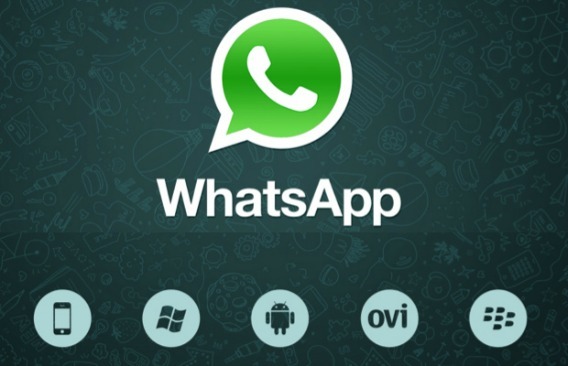 With communication is the one thing that you have to use daily, WhatsApp are now sweeping across North America, Europe, and Asia that allows users of various platform os such as Android, iOS, BlackBerrys, and Windows to send message texts, files, and image without paying the additional fees carriers charge. It also feature WhatsApp Web.